CareMessage is a social enterprise dedicated to using mobile technology to improve healthcare outcomes for underserved patient populations in the United States. Since launching our patient engagement product in 2013, we have grown to work with over 200 healthcare organizations across the United States and have reached over 2 million lives. Our web-based platform allows healthcare providers to reduce no-shows, increase attendance to preventive care screenings, and improve chronic disease management- all via simple "nudges" sent through text message. You can learn more about our team by visiting our profile on The Muse. 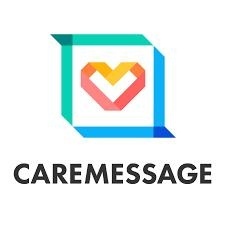 CareMessage has raised $21M in philanthropic capital from major institutions including Google.org, Y Combinator, the Pershing Square Foundation, the Draper Richards Kaplan Foundation, Echoing Green, the David and Lucile Packard Foundation, the National Institutes of Health, the CVS Health Foundation, the Marc and Laura Andreessen Foundation and the William K. Bowes Jr. Foundation. CareMessage is a remote-first organization that employs ~50 people (and growing) all around the country and world.